Buy our Starter Pass for $25 and receive 10 days unlimited access to all classes. Whether you are looking to strengthen your body, improve your mobility or calm your mind – our classes will help you on your way. There are no posers here – just people like you – young, old, fit, broken and everything in between! Since 2005 we’ve been the only studio in Wellington offering Bikram Yoga – the original hot yoga sequence. 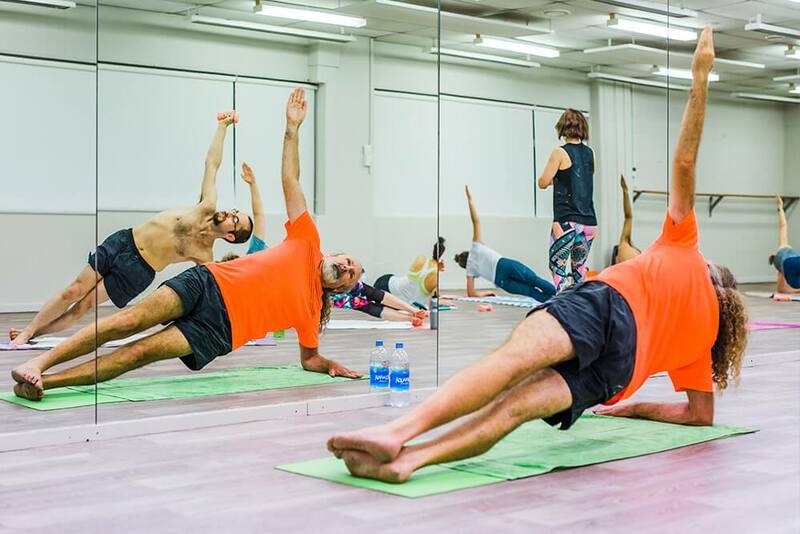 Our teachers are all highly-qualified, and the purpose-built Studio is modern, spacious and well equipped, to provide you with a safe and hygienic heated yoga experience. A therapeutic sequence to strengthen every muscle, ligament and joint, giving you a full body & mind workout. An energising sequence of poses, synchronised with breathing to strengthen the whole body and focus the mind. A slow-paced class that targets tendons, ligaments and fascia to bring back flexibility to joints and muscles. An intensive, fast-paced class that provides a full-body, low-impact workout, designed to keep the heart rate up. We offer 25 classes per week, so there is something for everyone. "Love this studio! I was a complete beginner and super injured.. the amazing instructors got me healthy and healed." "The best form of yoga in Wellington. I love the Bikram sequence and very grateful it is here in Wellington!!! I love the people who go here and the teachers as well as the studio environment." "Best hot yoga in Wellington!! This practice lets you get on with being the best you ❤. Lovely amazing teachers, I couldn't recommend it more…"
"I like the studio because it is unpretentious and you see all levels of fitness, a variety of ages and it's a great work out. There is a real sense of community." "Great hard workout to focus the mind on breathing, improve the body for sport and practicing dentistry!!"